I have been really good recently about not spending money on clothes, accessories, homeware or beauty but I have been buying used books quite often although in my defence, they were all really cheap...Instead of spending money that I need to save for a new phone and car insurance (boooo! 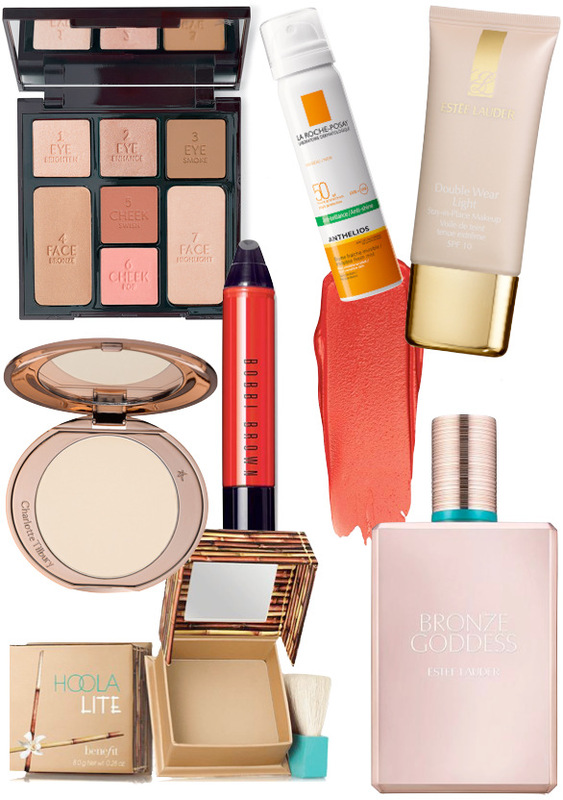 ), I'm going to share a wish list of the beauty products and books that I want to buy. Most of the items in this post are new products! I have wanted to try Estee Lauder Bronze Goddess for so long, I believe a new bottle design comes out each year and this one is just gorgeous *look at it!*. Also as summer is almost here, I can tell because my hayfever is awful, I need an SPF and this mist option from La Roche Posay sounds great as does the latest version of Benefit's Hoola bronzer. Bobbi Brown is a brand that has always been on my radar, from my early days of blogging back in 2012 but I never buy anything as to be honest it doesn't excite me as much as other brands and products do but these art sticks look interesting, especially this gorgeous summery red shade! The freebie website www.gratisfaction.co.uk/ currently has a freebie offer to get a free Bobbi Brown Art Stick Liquid Lipstick which is amazing! It also collates other freebie offers including homeware, food and books that you definitely need to check out - pretty much every week I'll go through freebie sites to see if there are any interesting offers and freebies. As I said, I've been buying so many used books recently which isn't great as I have so many books already but I have two excuses...first, the books are used and very cheap. Secondly, I have been on a roll with my reading recently, I've been reading over ten books every month for the past few months and my June reading is incredible as I'm set to finish at least FIFTEEN books and two audiobooks in June. 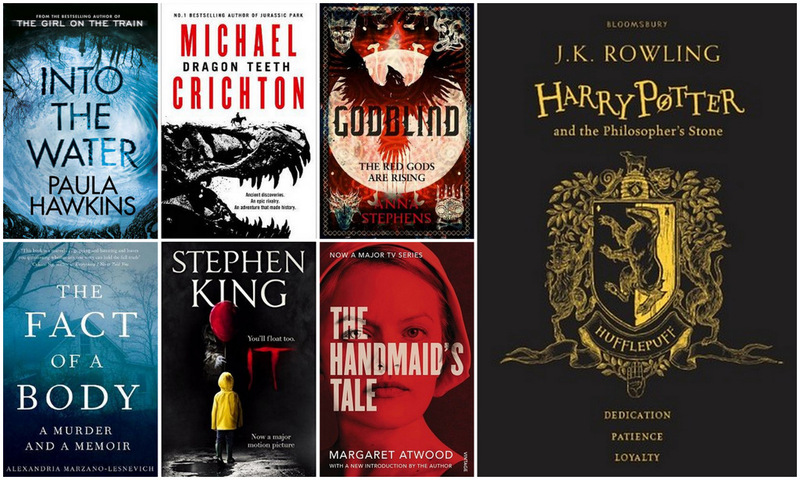 The Handmaid's Tale is top of my list, not just because I loved The Tent by Margaret Atwood earlier this year and because I want to watch the TV show but I can't until I've read the book. Another recent release that I cannot wait to read is Into The Water by Paula Hawkins as it sounds right up my street as does GodBlind. I cannot believe that Harry Potter and the Philosophers Stone is 20 years old this year! That means that I was four years old when it was first published. The Harry Potter films, books and world in general is so nostalgic and comforting, I can't explain how comforting and de-stressing this world and series is for me. It's true that for life long Harry Potter fans, Hogwarts will always feel like home. What products are on your wish list? Have you read any of these books? Do you visit any freebie websites? Lovely wishlists! I really want to try the Bobbi Brown Art Stick Liquid Lipsticks as well, I already love the original Art Sticks, so something's telling me that I would love these as well! Oh Bronze Goddess is just incredible! It's a summer staple! I always love the look of Bronze Godess but I am yet to actually smell it. I'll gave to go give it a spray ASAP. The CT palette is so handy for popping into my handbag for touch ups. Plus, it's really flattering for pale skin tones. I feel like books are always a justifiable purchase! My parents taught me that when I was growing up - even if there's no money, there's still money for books. And Bronze Goddess is an iconic scent. I wanted to buy it on first smell, but after working on the counter next to Estee Lauder and having to smell it every day, I quickly got over it! I really want to try Hoola Lite too, the original is a bit dark on me. I've heard amazing things about that charlotte tilbury face powder, it's definitely made my wish list. Bronze Goddess is my all time favourite scent! Can't get enough of it!! I love the look of the CT Look in a Palette - so perfect for travelling!